With HP B4B09PA Over ear Headphones you get an instant high quality audio listening device that uses top of the line audio technology and provides you with an immersive listening experience. The headphones are designed to be comfortable even after hours of listening and are engineered using Hp’s 35mm headphone drivers. The headphones come in a very elegant design that gives you rich bass and fits perfectly on your ears. The built and construction of the device are premium and it has thick pads on the earmuffs that make for a comfortable and immersive listening experience. There is also a built in microphone on the device that helps you to connect via voice with other users on the internet. There are also several other features such as adjustable headbands, in cord remote functionality, etc. that make the HP B4B09PA the perfect listening device for you. The headphones also come with one year of warrant that can be availed from any of the company’s service centres. Audio QualityThe HP B4B09PA deliver high quality audio and deliver it right to your ears with their powerful construction and comfortable fit. The headphones connect to your laptop, computer, tablet or smartphone via a wired 3.5mm audio connector and also has in built noise cancelling capabilities. There is also a 1.5m connecting cable that make the headphones easy to use even while you are on the move. The headphones are capable of producing sounds between the frequency of 20-20,000Hz, ensuring that you do not miss out on the subtle musical sounds and notes in your music. You can use the headphones to listen to your favourite tracks, watch movies and TV shows, listen to content on the internet, watch your favourite videos, etc. The ear pads of the headphones are covered with thick soft cushioned pads and come with an adjustable head band that enables you to get a perfect fit for hours of comfortable audio experience. In Built MicrophoneThe HP B4B09PA also comes with an in built microphone that adds much needed functionality and utility to your headphones. The microphone is built in and can be used by simply connecting the headphone to the microphone jack of your laptop, computer, etc. The microphone is adjustable and can be placed according to your needs and comfort. It features noise cancelling technology that reduces ambient noise and captures your voice clearly. You can use the in built microphone of the HP B4B09PA to place high quality voice calls over the internet, chat with others in online gamine, make hassle free video calls, etc. The microphone can also be used to record your voice and is very easy to use. Tired of your long and boring commutes? Now get the HP over-the ear headphones to travel in style and spend your long commute hours listening to great music without disturbing your co-passengers. The headphones are compact and durable and thus can easily fit in your travelling plans as they are foldable and can be stowed away in a bag without taking up too much space. The noise-canceling feature of the built-in microphone ensures an intimate conversation when you are video chatting with a loved one who stays away or zero disturbances when you are holding a remote business conference. 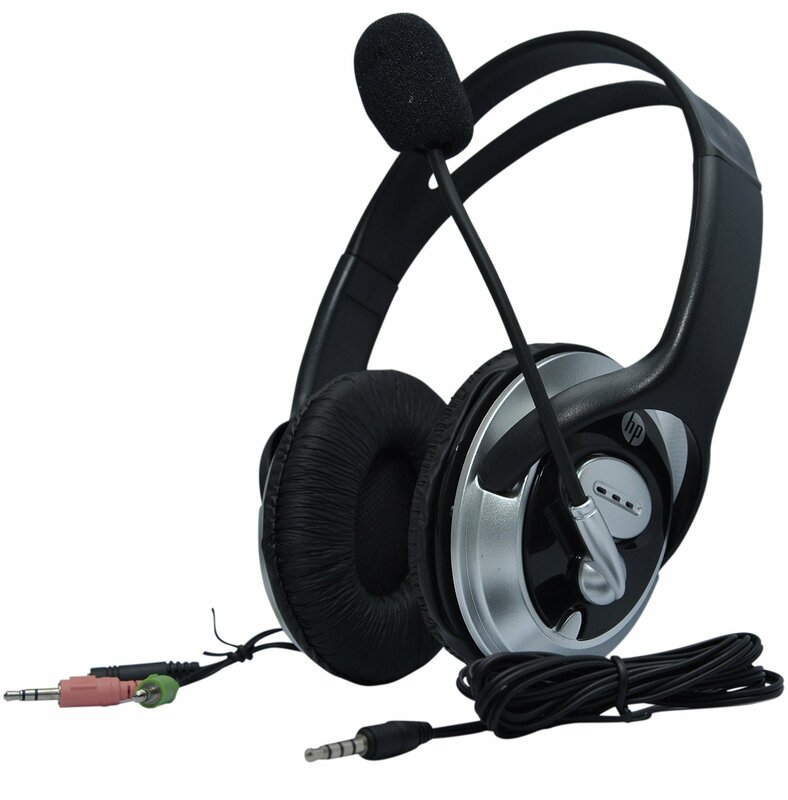 Since the headphones come from the brand HP, they come with a guarantee of quality and superior technology. Additionally, the 35 mm speaker drivers ensure that the sound is flawless with good bass and trebles. The gold-plated connectors also add to the superior sound quality.